Friday afternoons from 3 – 4:30 p.m.
Middle and high school students are invited to join teen expert Cooper to learn the basics of a variety of popular card games including Magic the Gathering. This group meets weekly on Fridays from 3-4:30 p.m. Here you will learn game basics and how to build a strategic deck. Unofficial tournaments for both new and experienced players will be held with cards as prizes. Registration is not required for this event. We are excited to announce our new teen blog – Essex Library Teen Space! 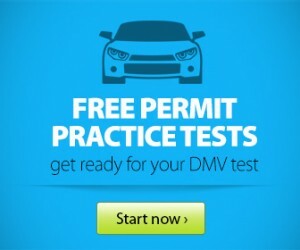 In partnership with Driving-Tests.org, the Essex Public Library is offering FREE Connecticut Driver Permit practice tests. This service also provides information on taking the CT Driving Test as well as the Driving Handbook. Need a good book suggestion? Teen reviews have been posted! Visit our new YA blog or come in to check out the new book review binder labeled “Read This!” Included are the 2014 Teen Choice Book of the Year Nominees, top 25 teen nominations for 2013, the Nutmeg List among many 2014 awards for audio books and DVDs. Don’t leave empty handed! Want to share a good book? Feeling especially passionate about something you’ve just read? Come in and visit. We’d love to add your video or written reviews to our selection. You never know whose life a good book will change for the better. Visit Riley Sullivan’s newest video review. 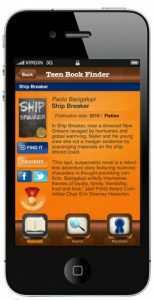 YALSA’s Teen Book Finder is a free app to help teens, parents, librarians, or any lover or YA literature to access the past three years of YALSA’s awards and lists on their Smartphone, iPod or iPad. App features include: a homepage featuring titles from the database, refreshed each day, a book search engine, a Find It button (powered by OCLC WorldCat Search) a favorites button and the ability to share brooks from the Teen Book Finder on Twitter and Facebook. Scan the QR Code in our YA Department to get the app today! EasyBib is an app which is free in iTunes. It enables you to create accurate MLA, APA, and Chicago style citations in seconds by scanning a book bar code or by typing the name of a book. Use EasyBib to build and manage your works cited. Once done, email and then export your citations to EasyBib.com’s popular bibliography management service. It works best with iPhone 4. It also works with iPad and iPod Touch, but camera on these devices requires that barcodes need to be held steady and at a proper distance for the scanner to pick it up. The Junior Friends of the Essex Library help to plan and promote programs, work on community service projects, fundraise for the Library, and read with younger students. We’re working on a new Jr. Friends schedule and are always looking for volunteers to help with children’s and teen programs. We’re also looking for older readers for our Reading Buddies program on Monday afternoons. Junior Friends Recruitment is ongoing – please let us know if you’d like to get like to get involved! If you would like to become a Junior Friend, please visit the Library for more information or check out the “Want to Join?” page on our blog. You can also email Jessica at jbranciforte@essexlib.org anytime. Are you in need of community service? Or just willing to help out? Jessica is looking for a few volunteers to help keep the YA corner in tip-top shape! Over the past few months we’ve had a rise in teen readers which is wonderful! The books are flying off the displays faster than we can replace them. If you’re a lover of YA literature or just want to help out, let her know. If you or anyone you know might be interested in either situation, email Jessica. Check Out the Essex Library’s New Teen Space blog! Need reliable (and last minute) research help? The free online resource, researchIT CT is here for you! Don’t forget about researchIT CT where you can find articles and information that you can trust. If you’re in need of a little project help, please visit the Children’s department for a researchIT CT tutorial. We’re always happy to help!